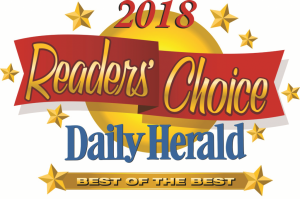 Voted “Best of the Best” Ice Arena by the readers of the Daily Herald in 2018 ! The Triphahn Ice Arena is a premier regional ice facility. This state-of-the-art arena offers two NHL sized sheets of ice, which are used for our freestyle, figure and hockey skaters, as well as serving as the practice facility for the Chicago Wolves. Our figure skating and hockey programs are known as one of the finest in the Chicagoland area. The Hoffman Estates Park District cares for the health and well-being of our community and our participants and will not tolerate bullying or harassment of any kind. The Hoffman Estates Park District’s Board of Commissioners has approved a comprehensive Anti-Bullying Policy to address bullying or harassment, and all forms of aggressive and violent behaviors. “We feel this is an important step to ensure the health and well-being of our community and our participants,” said Craig Bostrom, Executive Director for the HE Parks. “We won’t tolerate bullying or harassment of any kind that might inhibit an individual’s ability to learn and participate.” “Bullying” or “harassment” is defined as any gesture or written, verbal, graphic, or physical act (including cyber bullying via the internet, cell phone, personal digital assistant) that is dehumanizing, intimidating, hostile, humiliating, threatening, or otherwise likely to evoke fear of physical harm or emotional distress. This also includes forms of retaliation against individuals who report or cooperate in an investigation under this policy. All employees and volunteers will be required to complete a training course each year and will be expected to refuse to tolerate bullying and harassment and to demonstrate behavior that is respectful and civil. For complete Anti Bullying policy, click here.